Hear firsthand from Arlington ISD Superintendent Dr. Marcelo Cavazos as he joins Nick Carissimi on the Better Living podcast. Dr. Cavazos said his job as superintendent is to make sure students know that, "their future can be much better, much [more] enhanced than their current reality. That's giving people inspiration and hope. That's our function, and we do it though teaching and learning and support services." As for the Arlington ISD and what sets it apart, Dr. Cavazos mentioned the district's mantra #wherepotentialgetsreal. 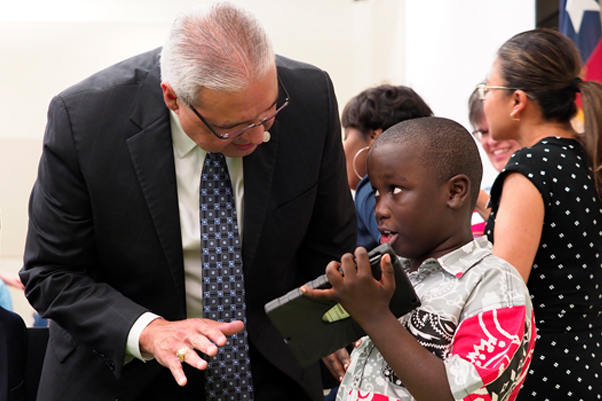 "You hear a lot of school districts and systems, especially educational systems, that talk about meet your potential and everyone has potential and drive your potential and things like that," Cavazos said. "When we asked our community and our teachers and our students, 'What's different about Arlington?' ... they said, 'That's where your potential actually gets real. ... You're actually doing something about your future when you're with us." Find even more insightful information and get to know your superintendent by listening here.